The American worker enjoys a number of protections that are granted by the Occupational Safety And Health Administration. Primary of these is the right to a safe workplace. The American worker may have to work with a variety of tools and different types of equipment in the workplace. From tractors, forklift trucks and backhoes, to nail guns, hammers, and hand tools, there are a number of tools that a worker must use safely. Workers must not only be provided the right kind of tools, but must also be trained to use these correctly. A worker has the right to work conditions that are not a threat or a hazard to his safety. He also has the right workplace training to perform his duties well. Training must include a focus on avoiding accidents and injuries in the workplace. Training must be provided in a language that the worker is able to understand, and must include workplace hazards, and techniques to prevent workplace hazards. Workers must be aware of all of the OSHA standards that are related to other work-related duties, and must also be aware of all of their rights in the event of an injury. The worker also has the right to file a complaint with the Occupational Safety and Health Administration against his employer, and can ask the federal agency to conduct an inspection of the workplace. A worker can file a complaint when he notices a workplace condition that poses a serious threat or danger to him and to other workers. Workers also have the right to bring unsafe conditions to the attention of the management or the employer, without fear of retaliation. Workers also have the right to access records of workplace injuries and fatalities that have occurred in the workplace. Soon after an injury, you can begin the process of filing a workers’ compensation claim to recover benefits for your medical expenses, lost income, and possibly other benefits that you are eligible for. However, first submit a written complaint or report of the injury with a description of the injury to your employer. You must also complete a workers’ compensation claim form. Fill out the form, and submit it to your employer. The claim form is the signal that the employer needs to begin working on evaluating and processing your claim. The employer cannot begin processing your payment without the form. 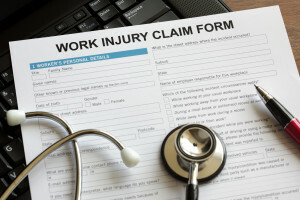 For help filling out the form, or for assistance dealing with a workers’ compensation claim for benefits, speak to a Palm Beach workers compensation lawyer. File your workers’ compensation claim as quickly as possible. Delaying your workers’ compensation claim can result in your claim, becoming invalidated. There are statutes of limitations that apply to your claim. If you delay filing your claim, your employer could suspect that your injury had nothing to do with your job. Remember, in order to be eligible for compensation for a workplace injury, your injury must have occurred during the course of your work or, while at work. Remember to maintain copies about the documents that you file or submit in the process of filing a claim. For help filing a claim, speak to a Palm Beach workers’ compensation lawyer. To file a complaint with OSHA against work hazards in your workplace, simply log on to the OSHA website, and fill out the Online Complaint Form. OSHA also allows you to file a complaint by downloading the Complaint Form, or requesting a hard copy of the complaint form from your local OSHA office. This form can then be faxed or mailed to your local OSHA office. You can also call OSHA on its toll-free line at 1-800-321-OSHA, or call your local Florida OSHA office to file a complaint. If you find that your report of the workplace or your filing of the complaint has resulted retaliation against you, you can protect your rights. For instance, if your employer begins to harass you or threatens you with termination, or otherwise retaliates against you, file a complaint with OSHA within 30 days after the retaliatory or harassing incident takes place. File a discrimination complaint with the Occupational Safety And Health Administration, and do so quickly. For help filing the complaint, speak with a Palm Beach worker’s compensation attorney. An experienced Palm Beach Workers’ Compensation Attorney at the Law Offices of Thomas J. Lavin will completely understand how workplace injuries threaten finances, career prospects, and family stability. Workplace injuries that seem trivial at first can emerge later as severe medical conditions. Some of these injuries will inevitably result in longterm or permanent disability. 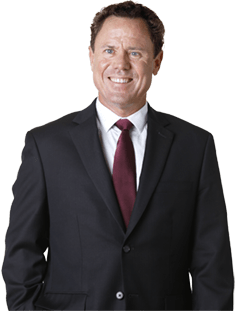 A good Palm Beach Workers’ Compensation Attorney can provide the sound advice and effective representation that helps injured workers and their families regain hope. After representing scores of workplace injury victims, we’ve found that workers’ compensation doesn’t always cover the full extent of a victim’s needs. Serious work-related injuries often require lengthy treatment, altered childcare arrangements, long travels to medical facilities, and other unforeseen costs. Workers’ compensation, however, is not necessarily the exclusive source of available benefits. In some cases you may file a personal injury claim against a third responsible party. If you’ve been injured, if you’re injured at work in the future, or if you’re currently applying for worker’s compensation benefits, speak right away to a Palm Beach Workers’ Compensation Attorney at the Law Offices of Thomas J. Lavin. We will help you with every step of the workers’ compensation process, and we will determine if other sources of compensation are accessible. If you are injured in a workplace accident in Palm Beach County or anywhere in the state of Florida, get the justice you deserve. Speak to an experienced Palm Beach Workers’ Compensation Attorney at the Law Offices of Thomas J. Lavin. Call us at 561-557-4546, or complete the form on our Contact Page and schedule a free consultation today with a good personal injury lawyer. Our clients pay no fee until they receive the compensation they deserve.